We Looked at Two Michaels yesterday, one a King of Romania and one a prince of Transylvania, but i want to focus on one, Michael the Brave. Here he is entering Alba Iliua. That city it, seems is pivotal in the life of Transylvania. 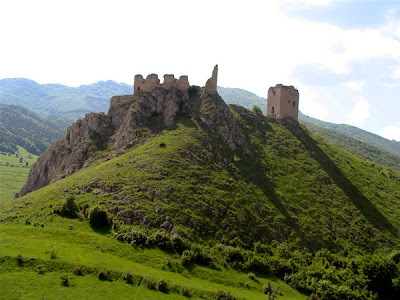 He united it to two other princedoms under his rule,and for a time what would become Romania was born. 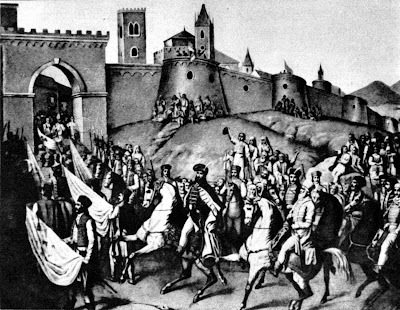 One of the most interesting photos I've come across is that of his triumphant entrance into the city of Alba Iluia. He is strong and proud on his horse, and there are people greeting him, the future is his to take, and he has done what so many of the Romanians in Transylvania hoped he would do, unite the three provinces together. 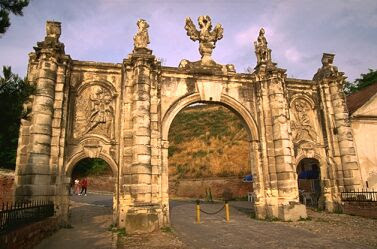 I love this picture of the gate in Alba Iluia, it seems that it might have been there since the time of Michael, when there was an interesting events happening, intrigues, and or course battles and deaths. Unfortunately one such death was Michael himself. It is said that during one battle someone killed him. 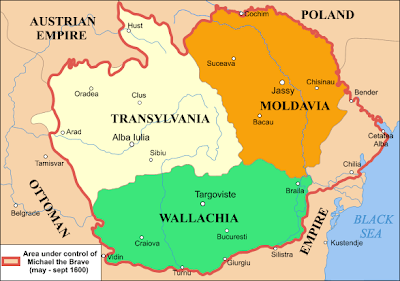 Possibly from his own side, and Transylvania was once again a principality on its own. Could this be the fortification in the picture? Much was destroyed by the invasions of the Turks and Ottomans in the 1700s. One such building that was destroyed was Michael's palace, and I think I know why. Hello. What a very legendary land. Who dind´nt hear about it. I can from Spain. Here we had the famous Romans. If you could follow my blog, i´ll apreciate it.